Ca$h Out Cashin' Out now plays on amazon itunes music store. The American rapper Cash out released ”Cashin’ Out” on April 25, 2012, from the album It’s My Time (mixtape) through Epic Records. Written by John Gibson and Gary Hill, the track was produced by DJ Spinz and saved a number 36 spot on the Billboard Hot 100 chart. It ranked number one and two on the Hot R&B/Hip-Hop Songs and the Rap Songs charts respectively. The music video was directed by Gabriel Hart and released on March 19, 2012, via YouTube and Vevo channel. The track received remixes featuring award-winning and established stars like Akon, Lil Wayne, Young Jeezy, Fabolous, Wale, and Chief Keef among others. 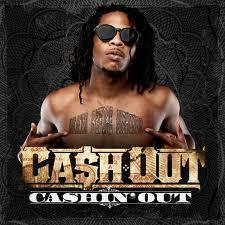 In the United States, “Cashin’ Out” has sold over 1 million copies with over 44 million YouTube views. It was also nominated for Best Club Banger at the BET Hip Hop Award. The song is about how much cash he has and the way he uses it. Cash Out has performed “Cashin’ Out” live in various places like at the WGCI Car & Bike Show at Chicago, IL, Atlanta, Memphis, and Denver among others. As a teenager, John (Cash Out) ran into legal trouble in 2009 but later acquitted of a gun charge. Having been saved from jail, he took it as a second chance in life headed to the state of Atlanta, Georgia where he kick-started his music career as a hip-hop artist. Luckily for him, L.A Reid, a record executive became impressed by his work and got a contract with Epic Records. “Cashin’ Out” received a positive reception upon it's release especially in the US where it went platinum. The young rapper is lining up tours to promote his latest solo album Let’s Get It and is expected to rise up and become the star he is meant to be. Hey, hey, hey can I meet you hoe? My diamonds talk for me, they say "Hi can I meet you?" Psssh - yeah I doubt it! Your girl ain't finna leave with me? Psssh - yeah I doubt it! And I'm like, what the hell they talkin' 'bout?